Saskia is an award winning interdisciplinary artist and composer traversing music, visual arts, theatre, and sound. Saskia's artistic practice concerns documentary art; the creative use of actuality. She identifies experiences, objects, actions and memories that subtly form a point of union between the individuals and groups which may not realise they share a common ground. She collects, records and archives commonalities, presenting these collections in formats that allow for a shared immersive experience. Saskia's work has been presented at numerous arts festivals internationally since 2006. She was recently awarded a Sound and Music 'Embedded' fellowship (2011-2013) with the acclaimed Apartment House Ensemble for her immersive sound and light performance "Dead Symphony". 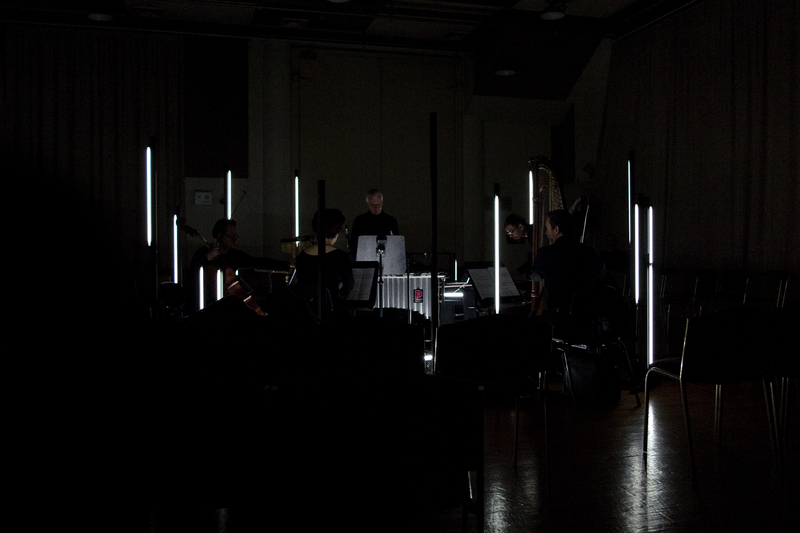 "Dead Symphony" premiered at Turner Contemporary, UK 2013.